Home Fragrance Making Classes at the Absolutely Anything Essential Gift Shop of Chicago. Create your own Home Fragrance Experience. Decorated and fragranced potpourri jar, accompanying potpourri refresher/ burning oil, custom air, linen and body spray and burner. Classes are 90 minutes. We can accommodate up to 6 people. You must call 312.238.9447 to check availability before booking. For senior and youth groups we can travel to your facility. *Discounts offers to those groups. Fragrant your personalized mixture of dried flowers, botanicals and seeds to create your one of a kind potpourri. Customize your own one-of- a kind air, linen and body spray and leave with more goodies. 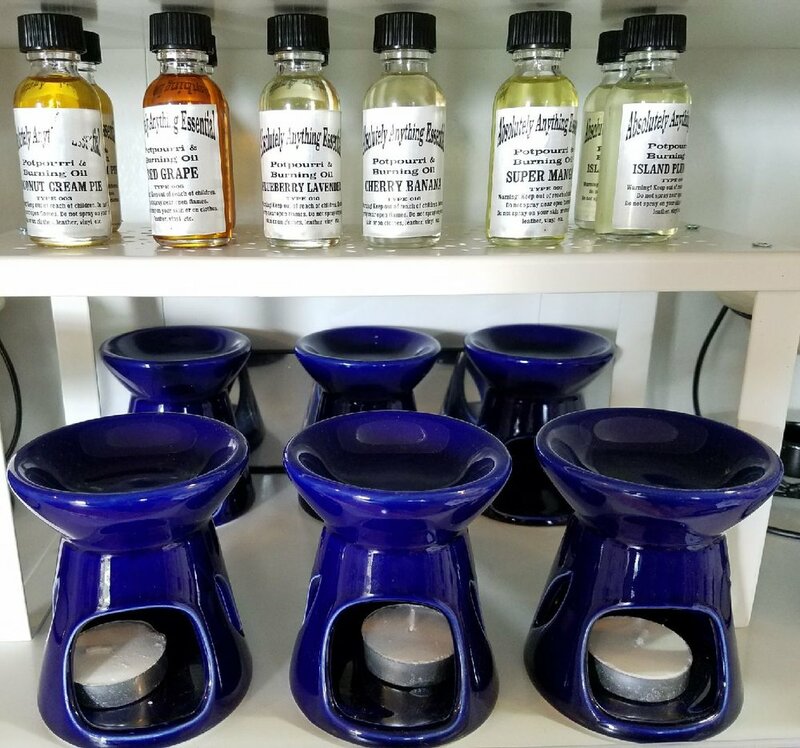 Decorated and fragranted potpourri jar, accompanying potpourri refresher/burning oil, custom air, linen and body spray and one oil burner. Perks: You create your oil fragrance and potpourri mixture, body, air and linen spray and oil. Enjoy a stress free environment, plenty of free rear parking and we are wheelchair accessible. We offer 15 minutes for your set up, class will start no later than 15 minutes of scheduled start time. Remember if you are bringing food or drinks, you must have your own plates, utensils, ice, napkins, etc. Time: 6:30 pm until 8:00 pm - *5 seats available. Great for those aged 13 and up. 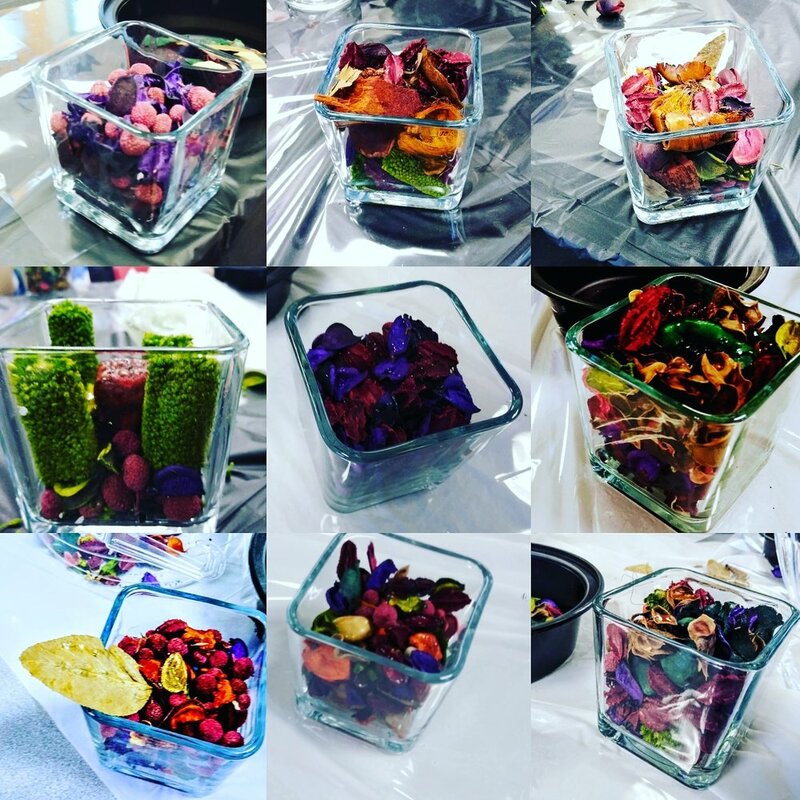 Create your own potpourri mixture. Create your own air, linen and body spray.